Admission to our concerts is FREE! 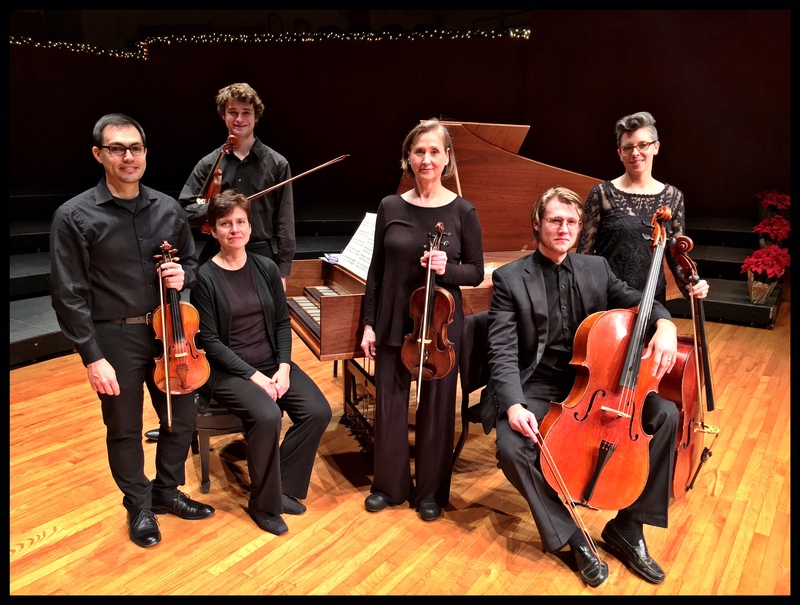 - Overture-Suite in G Major TWV 55:G4 "Les Nations Anciennes et Modernes"
Camerata Milwaukee was created in 2010 as a multi-faceted ensemble comprised of Milwaukee area professional musicians dedicated to the performance of predominantly Baroque music. The core group, consisting of string quartet and harpsichord, is joined, as necessary, by other instrumentalists and singers to present diverse concerts with a repertoire spanning the Elizabethan court music of John Tye through the transitional classical music of J. C. Bach. The group presents not only the works of the well known later Baroque composers such as J. S. Bach and Antonio Vivaldi, but also delights in presenting lesser known composers, such as Correte, Charpentier, Schmelzer, and such rare gems as the music of female Baroque composers Strozzi, Leonarda, and de la Guerre. The group also strives to make the genre of Baroque music easily accessible to a wide-ranging audience, including families with children. Following each performance, the group enjoys gathering informally with the audience to interact and answer any questions they might have.